Trina began taking piano lessons at the age of 8 and continued these formal lessons for seven years. She learned how to play pop songs by ear (“ouido” method) in the process, listening to songs and learning about chords from magazines and books, and began writing songs for school contests at age 13. She joined the high school glee club as the group’s pianist and co-wrote two songs for the group in two consecutive years which both won in the annual Awit ng Pluma inter-school song-writing contests. She was an active member of the Ateneo College Glee Club during her entire college life and became exposed to choral music and vocal harmony. This gave her the opportunity to develop her singing and note-reading skills and exposed her to a wider range of music. It was also in this organization that she found what would be her first few contacts in the music industry. After graduating from college in 1990, she worked for a small advertising agency as copywriter for a few months before deciding to pursue a career in songwriting in 1991. It was this time that she tried her hand at doing commercial jingles. In 1992 her song “Now that I Have You” became the carrier single of Awit Awards’ Album of the Year “Six by 6” (by the vocal group The Company). The song climbed to the top of local charts and remained there for five months. In 1993, she was given her first chance to produce an entire album for the vocal group Axis, which she was then musical director of. Her songs “Pasko sa Piling Mo” and “Dinggin Natin Ang Pasko”from the said album also received Awit Awards nominations. It was also in 1995 that Trina produced her own solo debut album released under Star Records. This same year, her song “You’ve Made Me Stronger”was released as a single in Asia by Philippine singer Regine Velasquez (nicknamed “Asia’s Songbird” and has recorded songs with Jackie Cheung, Paul Anka and David Hasselhoff). The song climbed to #1 on local charts, outranking even certain foreign singles. It was also nominated as Song of the Year in the KATHA Music Awards. In 1996, Trina’s song “Shine” won Second Prize in what was a big comeback of the Metropop Song Festival, the country’s most prestigious songwriting contest participated in by more than a thousand songwriters each year. She proved herself a consistent writer by being a contest finalist again in 1997 with a song called “Do You” and again in 1998 with her song “No Other Man”. In 1999, her song “No Less” was chosen out of more than 30 songs to be the Philippine representative to that year’s Asia Song Festival held in Kuala Lumpur, Malaysia. She came home with a Second Prize trophy for her country. Shortly after that, she joined the National Red Cross songwriting contest, which offered three hundred thousand pesos as prize money, and she bagged the Grand Prize with a song called “Life Power”. The song appealed to Red Cross and Red Crescent Societies abroad, resulting in its being sung by various international artists during the 27th International Conference of Red Cross and Red Crescent Societies held in Geneva, Switzerland. 1999 also marks the year that Trina became the first (and so far the only) songwriter from Asia to win one of the top prizes at the USA Songwriting Competition. She wrote and sang “Happy Valentine’s Day”which won the Overall Second Prize in this prestigious contest, which received more than 31,000 song entries from more than 50 countries all over the world including the United States. 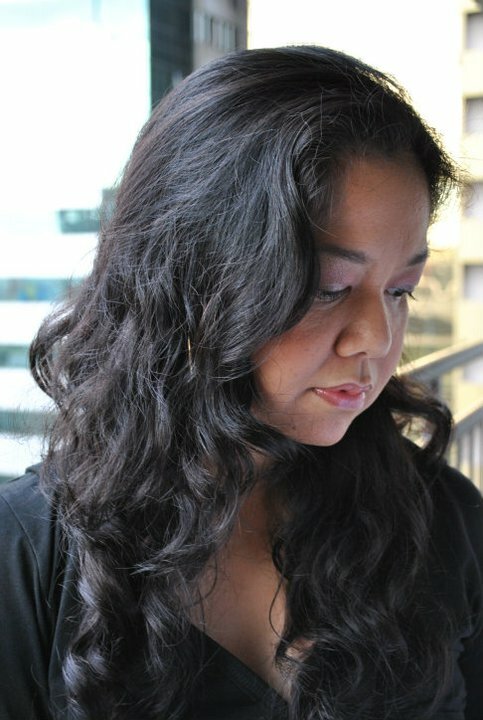 In the year 2000 she became one of 10 finalists of ABS-CBN’s Himig Handog sa Bayaning Pilipino songwriting contest with her song “Para Sa ‘Yo”, which enjoyed airplay during the weeks that followed the EDSA Revolution in January 2001 as it served as a reminder to Filipinos of the success of the revolution. That same year, her composition “Up and At ‘Em”got approval from Atlanta, USA for inclusion in the local release of the Powerpuff Girls album. The song won Best Electronica Composition at the 7th KATHA Music Awards, where another song she wrote and produced, “Sabihin Mo Lang”, a cut from a movie soundtrack by Regine Velasquez, was nominated both as Song of the Year and Record of the Year. In 2001, she wrote “Heartbreaker”which was nominated as Best R&B Song in the 8th KATHA Music Awards, where “Happy Valentine’s Day” (independently released in late 2001) was also nominated as Song of the Year. In 2003, the values-oriented various artists album “Pagbabago”, which she produced for the pagbabago@pilipinas Foundation, was nominated as Album of the Year in the Catholic Mass Media Awards. It was also this year that she made it once again to the finals of the Metropop Song Festival with her song “Be There". In 2004, her song "Now That I Have You" became a feature-length film under Star Cinema and the song "Shine" was recorded by Regine Veiasquez for Skin White's campaign and became a hit on the airwaves. In 2006 she tailor-made a wedding song for celebrity couple Claudine Barretto and Raymart Santiago, a song called "To Have And To Hold" which became the title and the theme song of the TV special that covered the much-publicized affair. In 2007 her song "Today" won singer Raki Vega the Gold Medal for the Original Works Category in the 11th World Championships of Performing Arts in Hollywood, USA. It was also this year that she wrote the song "Where Peace Begins" as the theme song for the Global Peace Festival held in Manila and attended by tens of thousands of people. The song has since been performed in other countries as well. In 2008 the United Peace Federation again asked Trina to do the theme song for that year's Global Peace Festival. She wrote the song "Peace Nation" for the event. In 2009, in commemoration of Radio Veritas's 40th Anniversary, her song "Let The Truth Be Known" was recorded and performed by the station's anchorpersons. In 2010, she was invited to be a mentor in the Elements Songwriting Camp held in Dumaguete. This project was spearheaded by no less than Maestro Ryan Cayabyab. She served as mentor also in 2012, 2014 and 2015. During the 2014 camp, she met singer Zion Aquino and experimented on writing, producing and releasing an independent single for this singer. She has since become his manager and produced a 10-track album for him called "Grateful Soul," which garnered 5 Awit Awards nominations. In 2017, she served as mentor to campers of the Philpop Songwriting Boot Camp held in Antipolo, Baguio and Cebu. and at the FILSCAP Songwriting Camp held last August. Trina has written songs for majority of the Philippines’ top recording artists and produces for them as well. She also sings and does vocal arrangements for various recordings. She is currently a member of the Board of Trustees of FILSCAP (Filipino Society of Composers, Authors and Publishers).